Posts here are writings, tips, quotes, activity, reviews, interviews and so much more contents created or collected by Ahmed A. Hassan. Independent Multi-Content Writer and Publisher; Business and Strategy Manager; Entrepreneur; and Social Activist. Ahmed especially writes poetry, fiction and non-fiction, but creates all forms of literary writings. 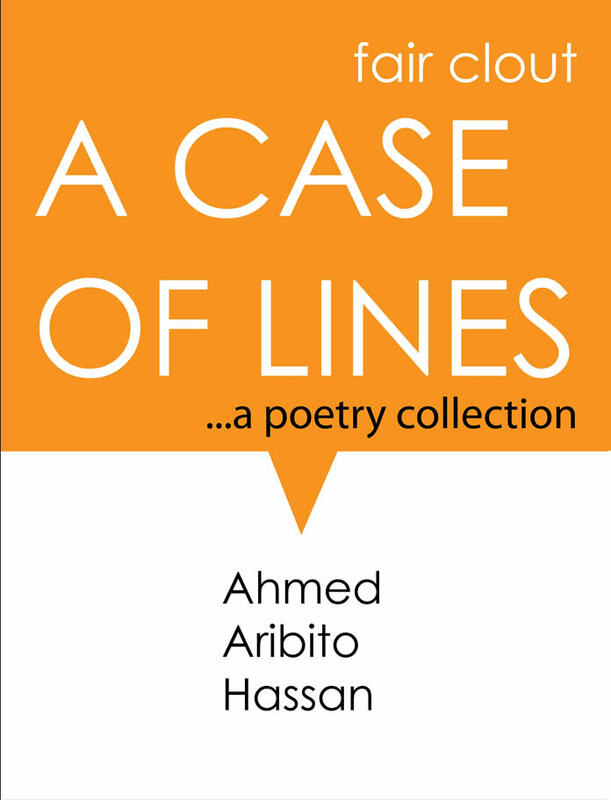 Ahmed is the self-published author of the poetry collection ‘Fair Clout: A Case of Lines‘, available only on Amazon Kindle, in Kindle Direct Publishing eBook format provided by Amazon Inc.
It’s a pity you don’t have a donate button! I’d definitely donate to this superb blog! I guess for now i’ll settle for book-marking and adding your RSS feed to my Google account. I look forward to new updates and will share this blog with my Facebook group. Chat soon! bLogs. And I actually do have 2 questions for you if you don’t mind. Is it only me or does it seem like a few of these comments look as if they are written by brain dead individuals? 😛 And, if you are writing on additional social sites, I’d like to follow anything new you have to post. Thank you, John. I endlessly face the responsibility of sorting and filtering the comments made on the site, and I try to accommodate as much comments as possible based on their contents and its relevance here. If you’d like to keep up with me on other social sites, kindly follow the links on the site to my other networks. I’m on Twitter, Facebook, Google+, Pinterest, LinkedIn, and more. I won’t mind you sharing my blog with your Facebook group at all. Feel free to share links to any of the works here, or reference them. Hi Micah, You’re not the first to say about a donate button for the site. Not sure when that’ll be available, I’ll see if the site can get one. Feel free to share and reference any of the works here. Nice to have you read it. Thank you! a perfect method? I have a undertaking that I’m just now working on, and I have been on the look out for such information. Thank you! Nice to have you read it. Nice to have you read it. Connect with me through my social links on the site. I’m on Facebook, Twitter, Linkedin, Google+ and more. Thank you, Luciana. Nice to have you read it! Hi I am so excited I found your website, I really found you by mistake, while I was researching on Aol for something else, Anyways I am here now and would just like to say cheers for a marvelous post and a all round exciting blog (I also love the theme/design), I don’t have time to look over it all at the minute but I have saved it and also added your RSS feeds, so when I have time I will be back to read much more, Please do keep up the great work. Hi Avery, thank you for dropping by. Nice to have you read it! Thank you! Nice to have you read. Howdy! Someone in my Myspace group shared this site with us so I came to look it over. I’m definitely enjoying the information. I’m book-marking and will be tweeting this to my followers! Excellent blog and outstanding style and design. Thank you! It’s a #Wordpress free template. Nice to have you read. Can I simply say what a aid to find somebody who truly knows what theyre speaking about on the internet. You undoubtedly know learn how to bring a difficulty to light and make it important. Extra people need to learn this and understand this side of the story. I cant believe youre not more widespread because you positively have the gift. Thank you, Fausto! Nice to have you read it. Thank you! Nice to have you read. I appreciate you added supportive efforts. Best wishes. When I first saw this title ahMedPensage bLogs | The path of life lies in the heart of the traveller on google I just whent and bookmark it. Thank you for sharing with us, I believe this website really stands out : D.
Thank you! You’re welcome. Nice to have you read. Thanks , I’ve recently been looking for info about this topic for a long time and yours is the greatest I’ve discovered till now. Once i retire I would adore to move to Hawaii. I do not know who you are however definitely you’re going to a famous blogger in case you are not already. Cheers! post. Thank you so much and I’m looking ahead to touch you. Will you kindly drop me a e-mail? I success you get right of entry to persistently quickly. When I first saw this title ahMedPensage bLogs | The path of life lies in the heart of the traveller on google I just whent and bookmark it. Whats up. Very nice web site!! Guy .. Excellent .. Amazing .. I’ll bookmark your blog and take the feeds additionally…I’m happy to locate a lot of helpful information right here within the article. Thank you for sharing.. When I first saw this title ahMedPensage bLogs | The path of life lies in the heart of the traveller on google I just whent and bookmark it. Hi there. Very nice blog!! Man .. Excellent .. Superb .. I’ll bookmark your web site and take the feeds also…I am happy to find a lot of useful info here in the article. Thank you for sharing..
It’s an remarkable article in support of all the online visitors; they will get benefit from it I am sure. very fast! What host are you the use of? Can I get your affiliate link on your host? It’s remarkable to visit this site and reading the views of all colleagues about this post, while I am also zealous of getting familiarity. I am genuinely happy to glance at this webpage posts which includes lots of valuable information, thanks for providing such information. This internet site is a walk-through for all the info you wanted about this and didn’t know who to ask. Seem here, and you will genuinely discover it. Greetings! Same supportive guidance inside this post! It is the unsatisfactorily changes that create the mainly central changes. Thanks for sharing! I’m really inspired together with your writing abilities as well as with the layout in your weblog. Is that this a paid topic or did you customize it yourself? Anyway keep up the nice high quality writing, it is rare to look a great blog like this one these days..
about. I am very happy I came across this in my hunt for something relating to this. What’s up friends, its fantastic piece of writing on the topic of tutoringand entirely explained, keep it up all the time. bLogs | The path of life lies in the heart of the traveller. Hi, nice to have you read and thank you for the recommendations. Cheers! Thanks for your nice blog. I enjoy your writing. Hello u have a nice weblog. I wanna thank you for sharing this interesting articles with us. Keep up great job. Hi everyone, it’s my first visit at this web page, and piece of writing is actually fruitful designed for me, keep up posting such posts. you can have a fantastic weblog here! would you wish to make some invite posts on my weblog? Greetings, You write some excellent blogs. I verify back here usually to discover in case you have kept as much as date. I thought you’ll be able to desire to know, once I click your RSS feed it re-directs me to one more website. Your home is valueble for me. Thanks!? This web page is truly a walk-via for all with the info you required about this and didn know who to ask. Glimpse appropriate here, and you l undoubtedly uncover it. I am no longer positive where you’re getting your info, however great topic. I needs to spend a while learning more or figuring out more. Thank you for excellent information I was on the lookout for this information for my mission. This is genuinely interesting, You are a extremely skilled blogger. Iâ€™ve joined your rss feed and look forward to seeking more of your magnificent post. Also, Iâ€™ve shared your web internet site in my social networks! I like this internet site quite significantly, Its a really nice billet to read and obtain information . Woh Everyone loves you , bookmarked ! My partner and i take issue inside your last point. I admire your efforts in putting together this impressive informative article. This is excellent writing and great content. Thank you for sharing this quality content. I like your writing style really enjoying this internet site. “Slow and steady wins the race.” by Robert Lloyd. me out loads. I’m hoping to give a contribution & help different users like its aided me. Good job. Well, the article is actually the freshest on this laudable topic. I concur inside your conclusions and will thirstily look forward to your future updates. i am as well delighted to share my familiarity here with mates. I’ve been surfing online greater than 3 hours today, yet I never discovered any attention-grabbing article like yours. It is beautiful price enough for me. In my opinion, if all webmasters and bloggers made just right content as you probably did, the web can be a lot more useful than ever before. Keep up the superb piece of work, I read few blog posts on this site and I conceive that your blog is rattling interesting and has lots of great information. Hi, to opt out from getting notifications in your email when comments are made on a post here, check in each of the emails that carry the notifications for a link at the bottom that will say ‘unsubscribe from receiving notification or from service’. I hope this helps. Nice to have you read. Cheers! Quality articles or reviews is the crucial to invite the people to pay a quick visit the site, that’s what this web page is providing. This great article has truly peaked my interest. I’m going to bookmark your site and keep checking for new details about once per week. I subscribed to your Feed as well. Hello, yeah this post is truly nice and I have learned lot of things from it concerning blogging. Magnificent goods from you, man. I’ve understand your stuff previous to and you’re just too wonderful. I really like what you have acquired here, really like what you are saying and the way in which you say it. You make it entertaining and you still care for to keep it smart. I can’t wait to read far more from you. This is actually a great site. This is one of several good reasons why I keep returning to this web page. This blog post is an abundance of help and advice and I cannot wait to start using them. I love how it’s evident that you made a bunch of time and effort in searching. I detest it when I read on posts that are 500 words long but are wanting in substance. It’s like they just want to reel you in and they’re not really showing something solid. So thank you! 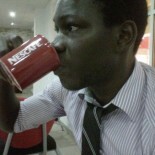 Thanks a lot for sharing this with all of us you actually know what you�re speaking approximately! Bookmarked. Kindly also discuss with my web site =). We could have a link alternate contract between us! Thanks a lot for providing individuals with an exceptionally splendid possiblity to read in detail from here. It really is very great and as well , packed with amusement for me and my office co-workers to visit your blog nearly thrice in one week to learn the newest guides you have got. Not to mention, we are actually impressed with the breathtaking creative ideas you serve. Certain 1 ideas in this post are clearly the most impressive we’ve ever had. discussed for ages. Excellent stuff, just wonderful! This is a really good tip particularly to those fresh to the blogosphere. Simple but very precise info… Appreciate your sharing this one. A must read post! Hello this is a abundant item. I’m going to e-mail this to my buddies. I came by this while exploring on yahoo I’ll live assured to come back. thankfulness for sharing. Hi there colleagues, fastidious post and fastidious arguments commented here, I am really enjoying by these. Magnificent site. Plenty of helpful information here. I’m sending it to a few pals ans additionally sharing in delicious. And of course, thank you to your sweat! For most up-to-date news you have to visit world-wide-web and on world-wide-web I found this website as a most excellent website for latest updates. Tammy this a wonderful blog submit! It is so good when persons appreciate all that you do. Wow, superb blog layout! How long have you been blogging for? you made blogging look easy. The overall look of your site is magnificent, as well as the content!. Thanks For Your article about ahMedPensage bLogs | The path of life lies in the heart of the traveller . Hi, I do think this is a great blog. I stumbledupon it 😉 I’m going to return once again since i have book marked it. Money and freedom is the best way to change, may you be rich and continue to help others. Nice blog…I just shared it to people in my circle, hope you don’t mind. Well done. Hey there, You’ve done a fantastic job. I will certainly digg it and in my opinion recommend to my friends. I am sure they’ll be benefited from this site. good article… but what can I say… I put things off a whole lot and never manage to get nearly anything done. Always a significant fan of linking to bloggers that I like but do not get quite a bit of link adore from. I was really encouraged to seek out this site. I desired to thank you for this distinctive read. I definitely savored every little little bit of it and I have you bookmarked to take a look at new stuff you publish. Very good blog site! Do you have any suggestions and pointers for striving writers? I’m wishing to start my own blog site quickly however I’m a little lost on everything. Would you recommend beginning with a cost-free platform like WordPress or go for a paid option? There are many choices out there that I’m entirely overwhelmed. Any referrals? Thank you! Hi, thanks for dropping by and for the comment. Of course, there are many choices out there, and as an expert and with my experience with these things, there is no alternative that will not work fine, as long as you have strong content and traffic management. All the best with your blog. Find and connect with my social networks on my profile page here, and remember to drop me the link to the blog when you finally get it started. I may find it great, and will be glad to follow. Cheers! Always a major fan of linking to bloggers that I love but really don’t get a lot of link like from. I like what I see so i’m just subsequent you. Appear ahead to discovering your internet web page yet once again. Right here is the perfect website for everyone who would like to find out abput this topic. You know sso much its almost tough to argue with you (not that I actually would want to…HaHa). You certainly put a nnew spin oon a subject that has een discussed for years. it truly is well-written. I am constantly looking forward to seeing a fresh post.